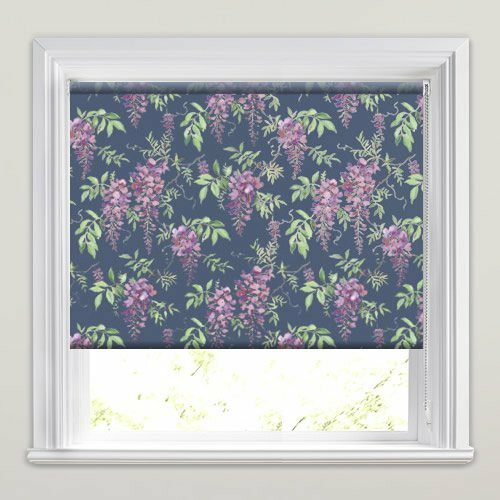 These luxurious wisteria patterned roller blinds are a wonderfully striking natural way to create a floral focal point at any window. 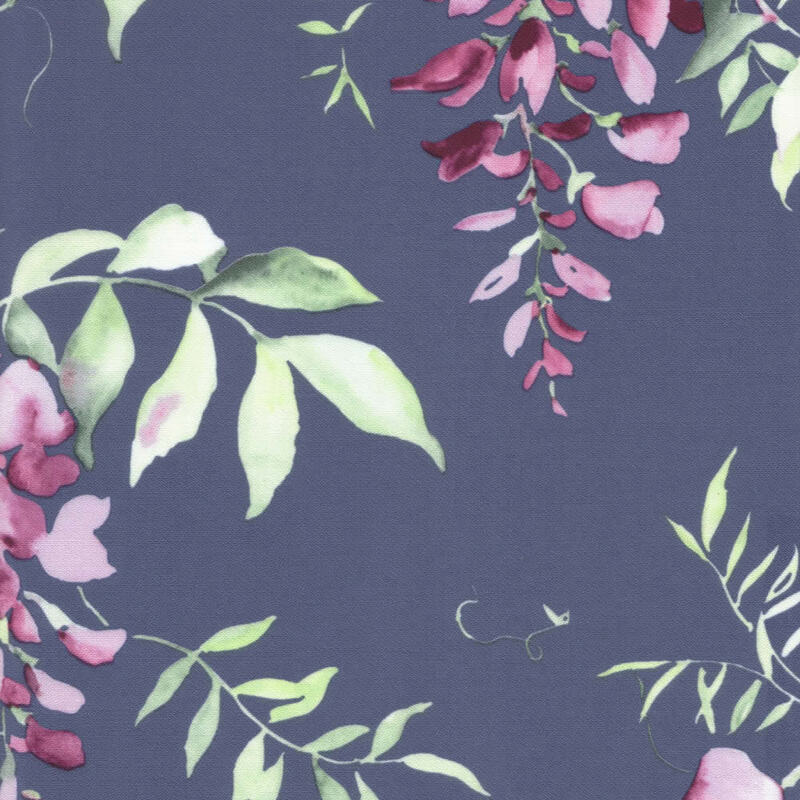 With their hand painted floral design and rich tones of burgundy red, pink and green set against a deep blue background, they are guaranteed to become a real show stopper wherever you hang them. 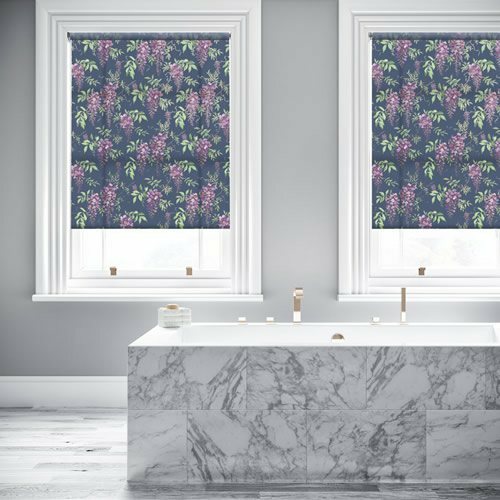 I have previously ordered a blind from English blinds and was happy with the prompt delivery and quality. This is now my second order and I could not be happier. 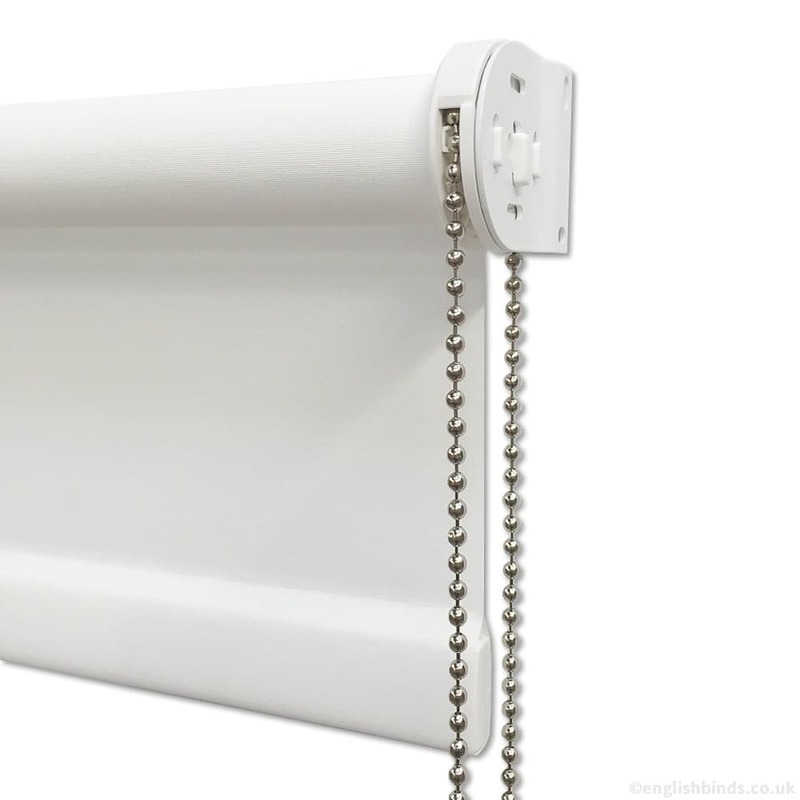 Excellent product, good quality and well-made. 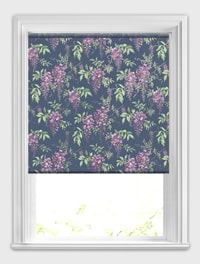 We were so pleased with the quality of the first blind that we ordered more for another room. A pleasure to deal with. Very helpful telephone conversation to answer some queries. Five-star service. This is our third order from English Blinds, excellent work and great value, definitely use them again. Prompt and efficient service plus excellent quality and value. 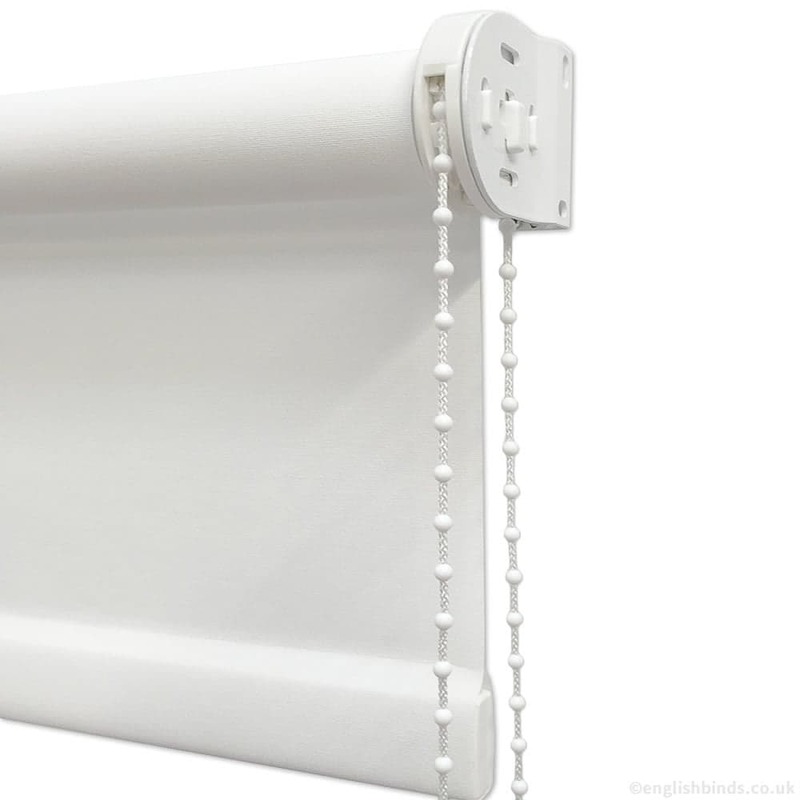 I would definitely buy from English Blinds again.